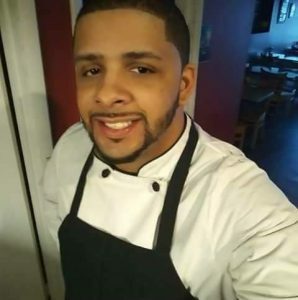 If you are interested in booking a party or function in our restaurant or have other general questions regarding the 2018 & 2019 season, please call 570-562-0138 x2 and leave a detailed message for chef Eddie and he will get back to you as soon as possible. We also thank you for making Pine Hills your destination for great food, service and atmosphere at Pine Hills Bar and Restaurant. Chef Eddy is well versed in culinary arts. Getting his passion for cooking from his grandmother, he brings creativity and flavor to every dish he prepares for his customers.